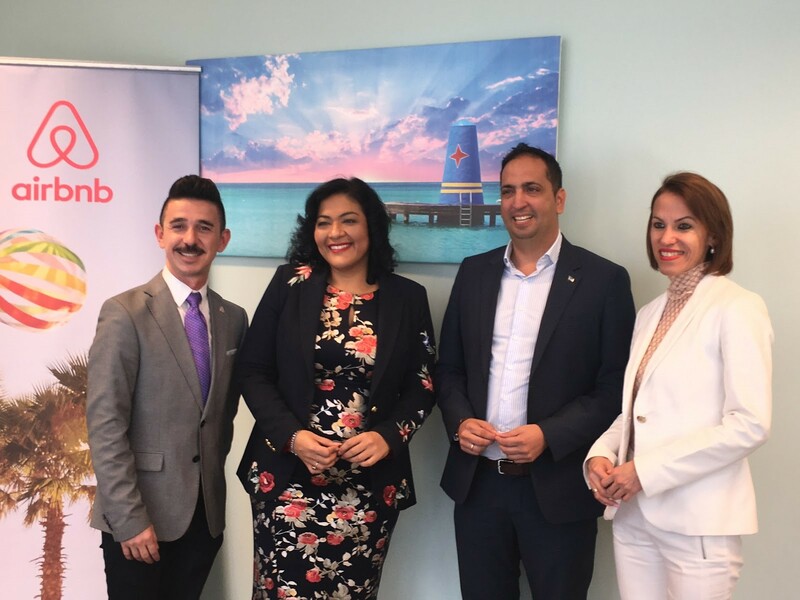 ORANJESTAD — Airbnb and the Aruba Tourism Authority signed a significant agreement to continue to cooperate to drive sustainable tourism in Aruba through home sharing. The agreement further cements the organizations’ partnership to establish a framework for discussions regarding taxes, facilitate consistent stakeholder meetings, and share useful aggregated data. 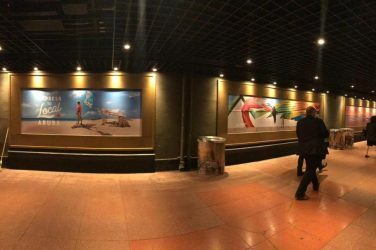 “Aruba has experienced sustained growth in our tourism sector over the last several years and we feel that in working with Airbnb, we can reach a whole new segment of tourists who are interested in living like local Arubans while experiencing a different side of our island,” stated Ronella Tjin Asjoe-Croes, CEO from the Aruba Tourism Authority. The home sharing community in Aruba is a growing component of the local tourism industry and an important asset to the island’s wealth. With more than 2,300 listings throughout the country, Airbnb plays a significant role in Aruba’s economy. A typical Aruban host had an annual earning of USD 9,200 last year, a 77% increase since 2017. 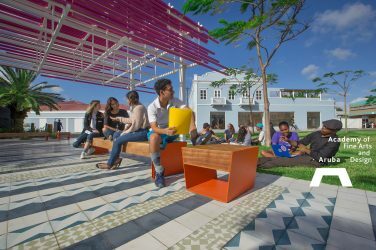 “Aruba is an important partner, and we are pleased to continue working together to develop a strong, democratized tourism industry through home-sharing, where Arubans benefit directly,” said Carlos Munoz, Airbnb Campaign Manager, Public Policy and Communications for the Caribbean and Central America. Through Airbnb, tourism in Aruba is more accessible and inclusive. In 2018, Airbnb hosts in Aruba welcomed approximately 47,200 guests with an average trip length of about six days. 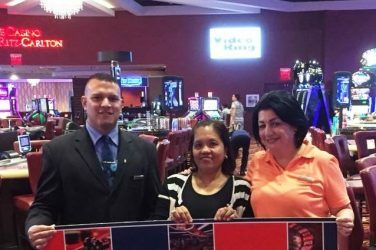 These travelers were accommodated by 940 hosts who opened their doors to offer locals and foreigners alike a unique travel experience. Aruban hosts are a diverse group; fifty-one percent of hosts are female. The average host age is 48, with seventy-seven percent of hosts between the ages of 30 and 59. At the same time, Arubans also choose Airbnb when traveling. In 2018, 5,100 Aruban guests stayed at Airbnb listings both in Aruba and abroad, eager to experience what it is like to live like a local wherever they travel. 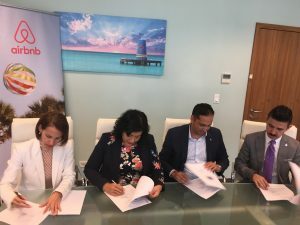 “Our goal is to work together to drive more sustainable and unique tourism to the island, help make Aruba a regional leader in the sharing economy and continue to position Aruba as a world-class tourist destination,” continued Ronella Tjin Asjoe-Croes. Airbnb has been developing partnerships in the region to support a thriving community of homeowners who are renting their spaces and creating new flows of local economic benefits. With its strong partnership with the CTO, Airbnb is steadily working to drive tourism in the region and expand economic opportunity by promoting authentic travel throughout the Caribbean. To date, 18 collaboration or voluntary tax collection agreements have been signed throughout the region. Airbnb looks forward to building its relationship with Aruba to help grow the tourism sector. Total Airbnb Guests Arrivals in Aruba: 47,200. Money received per year by a typical host: USD $9,200*. Total listings on the platform: 2,300. Total Departures of Guests through Airbnb (Arubans abroad): 5,100. Founded in 2008, Airbnb’s mission is to create a world where people can belong through healthy travel that is local, authentic, diverse, inclusive and sustainable. Airbnb uniquely leverages technology to economically empower millions of people around the world to unlock and monetize their spaces, passions and talents to become hospitality entrepreneurs. Airbnb’s accommodation marketplace provides access to 5+ million unique places to stay in more than 81,000 cities and 191 countries. With Experiences, Airbnb offers unprecedented access to local communities and interests through 20,000 unique, handcrafted activities run by hosts across 1,000+ markets around the world. Airbnb’s people-to-people platform benefits all its stakeholders, including hosts, guests, employees and the communities in which it operates. 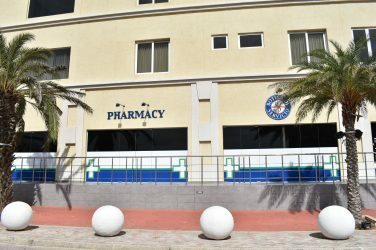 At your service: Experienced Doctor & Pharmacy under one Roof!